Technology has captured a big space in our life. We are so much dependent on Technology that it changed the way of our thinking and perception. We feel technology has made our life easier , but in a real scenario , Over dependency on technology is like a curse. Children of this generation are smart and intelligent right from their birth. They are so active that they learn how to operate smart gadgets of their own. Due to the busy and nuclear family lifestyle , smartphones have become the usual pacifier to calm down kids and make them quiet when they are showing tantrums. As there is a need for both working parents , children entertain themselves with the help of these electronic gadgets. 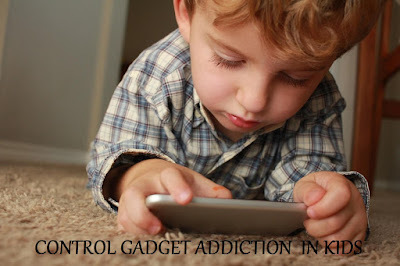 Because of continuous usage of these gadgets , children are now addicted to them. Being a responsible parent , you can do many things , which can help your kid come out of the gadget addiction. Children have a tendency to copy every act of their parents. Whatever activity a kid observes from his parents , he replicates it. Therefore , if they see that you spend most of the time watching TV or Smartphones , they will also copy that acts of yours. 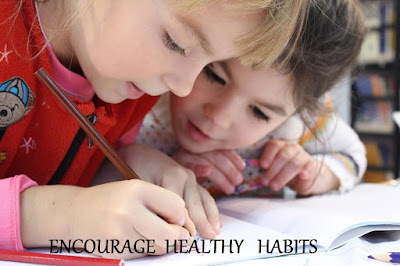 Hence it is important to change your habit and be a good role model for your kids so that you can ask your kid to follow your activity happily. It is good if you encourage healthy habits in your child by substituting the smartphone’s usage with some writing or reading activity. It may happen that your child may not reciprocate the same from the first day but take an extra step and the reason for such implementation. If you implement this habit on a regular basis , your child will definitely respond positively. Children always seek some time from their parents. Therefore spend some quality time with your kids. Talk with them , Play with them , so that they do not feel lonely and take the company of smartphones to entertain themselves. 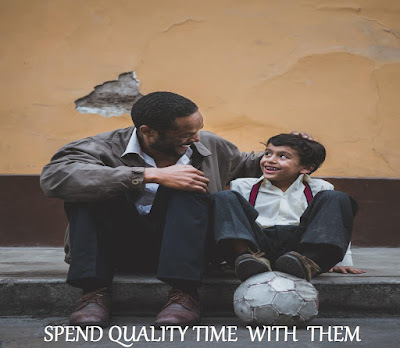 As per the child Psychology , when parents spend their time and play with children , they feel more bonded and build more trust for their parents. Although it is not possible to keep your home completely free from Technology , still you can manage to keep some of the rooms as Tech Free Zones. It will limit your child’s screen time and will help your child to focus on other activities too. Apart from the above mentioned ideas you can apply many other ways to keep your child sufficiently away from gadgets. It is very important to get involved in their lives , so that you can understand them better , so that you can guide them accordingly . She lives with a notion of Simple Living and High Thinking and has an optimistic approach towards life. She is always eager to learn new things. One can connect with her on her social media handles.